Lyttelton is a fantastic spot to take the family – scoot through the tunnel one way and drive over the hill the other way for some great views. We visited Lyttelton in May 2015 with the aim of having a Fish & Chip picnic lunch. We discovered a lovely spot called Albion Square, Lyttelton’s Civic Square. 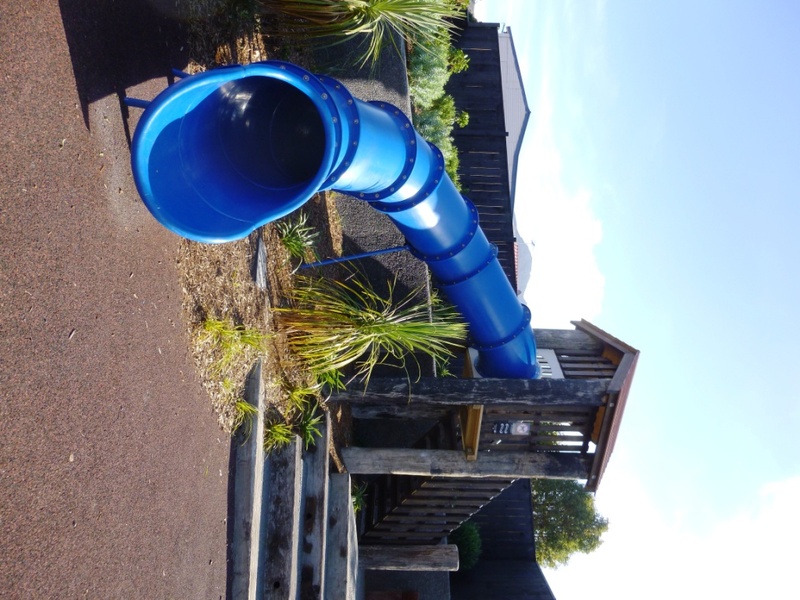 There’s a fun slide and water feature, lovely terraces, great views, and a public toilet! The War Memorial, distinctive entrance (archway), and some other arty features all contribute to the beauty and intrigue of this spot. The Shroom Room cafe is right on the Square – you could get your coffee to take away and enjoy it on the terraces while the kids play, or they have outside tables in view of the terraces. We got our Fish & Chips from a place on London Street, opposite the Supervalue. If you’re feeling fancy you could try Fisherman’s Wharf Restaurant (it’s in the Entertainment Book).